Click on the map above for a larger version. SUN ‘n FUN Main Parking Lot – Click on image for larger version. 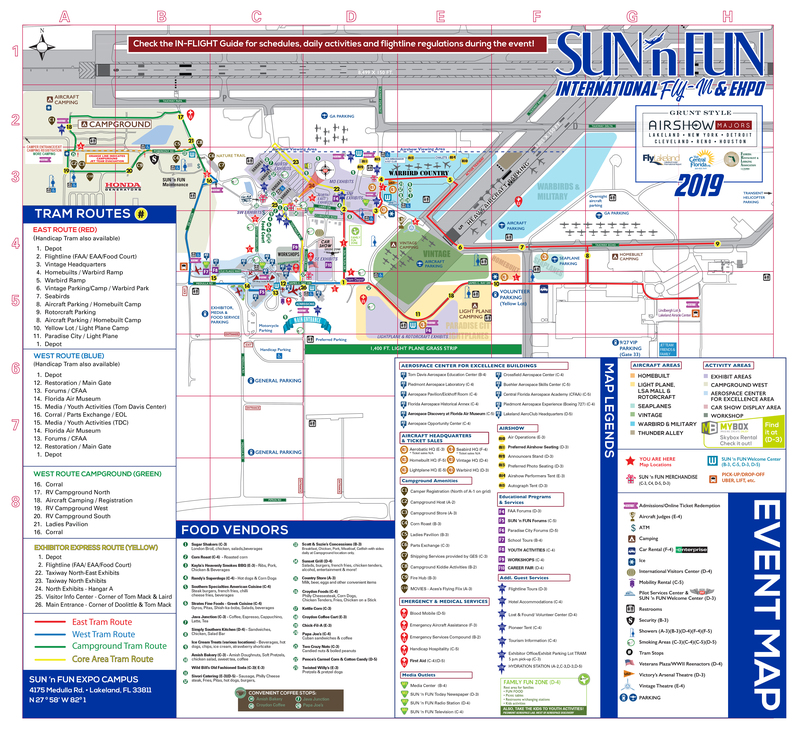 Click Here for a larger, printable PDF of the Arrival map.